The car industry has seen significant changes in the past decades, especially in the manufacturing of greener and eco-friendly cars. 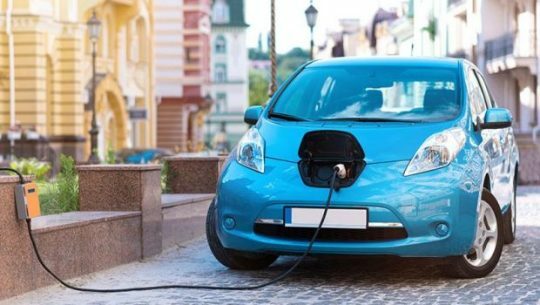 The need for these new type of motor cars is becoming ever greater, and companies are making affordable cars that think about the environment. There are many solutions to the problem of pollution and energy consumption and one cannot go over all of them in a few sentences. Most of the models concentrate on the use of alternative energy sources or the complete replacement of fossil fuel in the running of the motor car. Some, on the other hand, try to use hybrid technology and to use the cars own energy production in different ways. What are the major differences in conventional cars and green cars? What are the different types of green cars? This concept that has been employed in the manufacturing of cars is concerned with the quantity of fuel that the car spends in order to move. The outcome of this design solution has significant benefits for the environment but the primary driving force behind the development of these cars is cost reduction. Since fossil fuel is becoming more expansive, and there are a lot of grim predictions for the oil industry there is a natural need to find solutions that will cut down on the use of petrol and so on. This way we will ensure that the average spender does not have to give more money to buy fuel, and general prices of products will not rise due to expenses linked to fuel consumption. There are many designs and performance types of these cars, and you will certainly find something to suit you. This car is the future, and it’s worth your time to look them up and see what it’s all about. These cars have brought a true revolution in the industry, because they do not need a regular combustion engine, but rather use alternative ways to power and move the machine. They either use electricity or a combination of conventional motors with electric ones. The thing is people usually thought that these cars are not as fast and functional as regular ones and they would have been right. But recent years have shown a shift in this trend, and more car manufacturers are looking into ways to make fast and functional eco-friendly cars. The designs and solution they are coming up with will amaze you. One new feature to cars will be a tier that has moss in it and produces oxygen from the CO2 that the cars emit. This model has already been presented and tested. Most cities did not have fueling station for these cars, and this is not the case any more. There are a lot of electric stations that you can come to and fuel your car, and the trend is catching on. For cities that already have this feature, you don’t have to worry about not having a place to fuel your car. Trucks are a major part of our lives. Whether we drive them as part of our work, or because we like their size and the way they look on the road. There are many types of trucks out there, and you can find a model for almost anybody who is looking. Most famous car manufacturers are making their own trucks, and you will find a lot of different adaptions to the truck construction and design. What are the more famous trucks that were made? Why did the become so famous and who made them? We will go over some of these monsters here, but before we check this F150 truck dealership in Bloomington, Minneapolis and look at all the models that they have on offer. 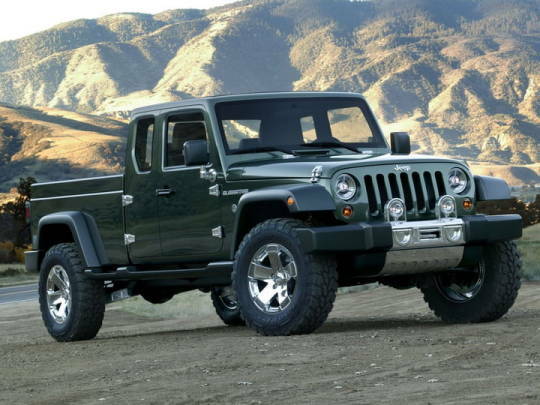 Was a modern full-size truck, designed by Jeep to replace their previous versions of trucks. The model was so efficient and nicely designed that it stayed in production for over twenty-four years. The models use a six-cylinder engine, while V8 engines cars where made contumely on order by the client. This car was designed in the 1970is, and the model is rare. Something about the way it looks makes it look vintage and out of place in any century. But looks can be deceiving and this truck has been of great service to a lot of people over the years. The thing is it can be used for work and for camping because you have a sort of pop up trailer in the back. This is a monster truck that looks and sounds dangerous and when you have it, it is here to serve you with all of its power. The truck was designed for heavy duty work, and it has performed just that. Well suited for all terrain it can pull out most smaller cars from a range of different situations. After decades of not making small vehicles, Hummer finely gave a smaller model for city and outdoor use. They made a modern looking care, with a powerful V8 engine that can conquer any terrain. The truck is better for passenger transport and you can imagine it fits well in a lot of safari type situations. This is another famous pick-up truck model from the Jeep company, and it was produced for over thirty years. Changing only in smaller aspects over its history of use. Also, one of the features that make this truck so attractive is the V8 engine under its hub. This truck set the path for future similar models. This truck is the ultimate in heavy-duty trucks, and it was made to satisfy a range of need as well as to be suited for extended trips and on the road action. Before this truck model car manufacturers used their low and medium duty trucks, with a couple of upgrades to make a truck that can do heavy duty jobs. This model was designed especially for these types of work, and that’s why the model became such a success. Is the Right Whale “Baby Boom” Really That?